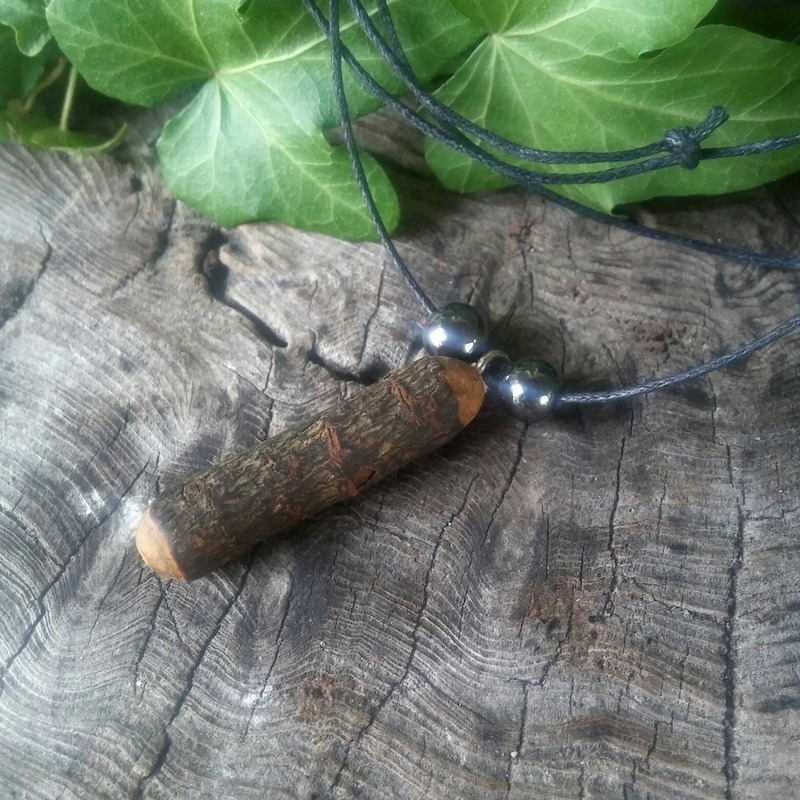 The Magnolia healing necklace pendant is 4 cm (1-1/2 in) and the bark has been left mostly intact as it is believed it has healing energies. 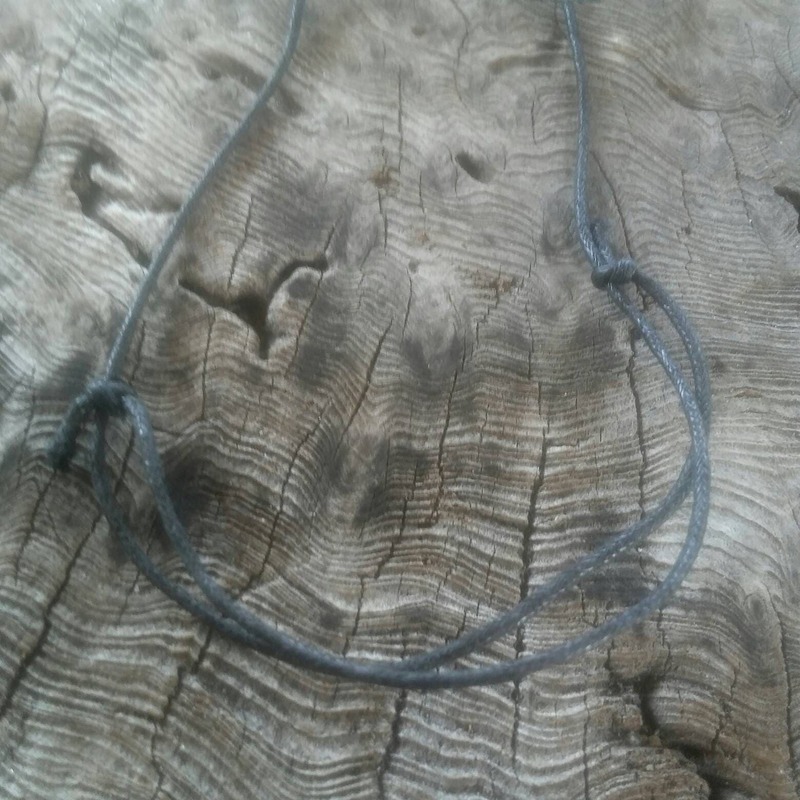 The adjustable waxed black cord necklace can be made most any length you desire. Every tree is a powerful source of spiritual healing that can help your own immune system to fight any illness or sorrow. Magnolia trees (Magnoliaceae) are an ancient species, arising before bees, they do not produce nectar, but carry a medicinal energy and essence. They are pollinated mostly by beetles. Over 200 species in the world, and often known as “Champa“, this tree bestows blessings of feminine strength and faith in our deepest ideals, as we open our heart and remember to stay true to ourself no matter how much pressure is placed upon us. The Magnolia is a perfect Mother Goddess tree. Increases love and loyalty; reduces the power of addictions and obsessions, especially smoking; helps skin problems; restores strength after a long illness. Promotes psychic development. Aids meditation and spiritual opening. Promotes harmony, peace, tranquility. Magnolia helps learning from past experiences and clarifies true identity. It eases restlessness and confusion and helps to maintain balance during difficult changes. Magnolia promotes a sense of freedom and relaxation. 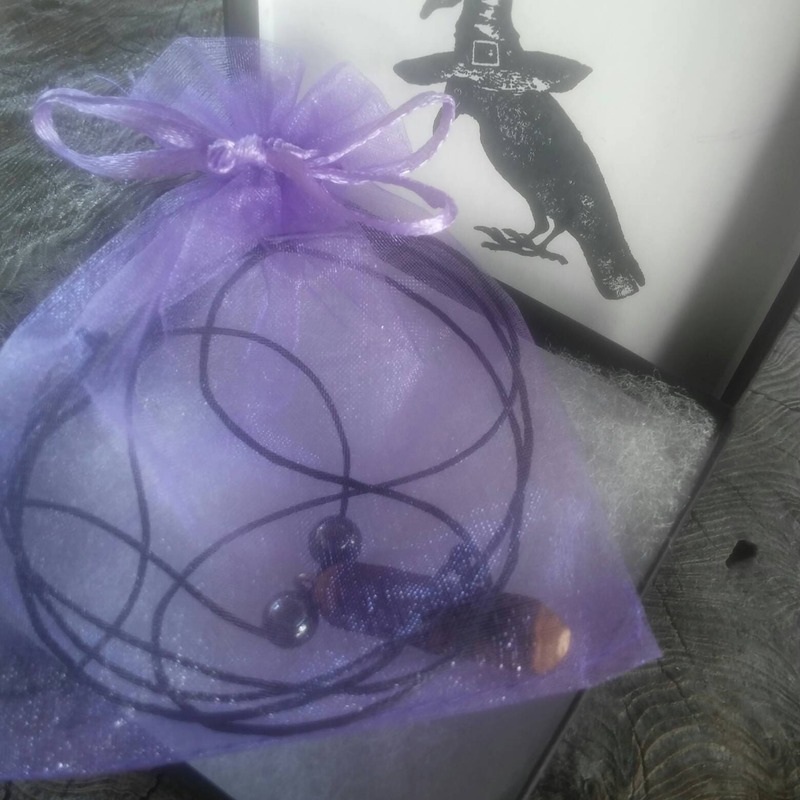 This talismanic necklace is polished with linseed oil and has been strung on a black waxed cord which is adjustable to the length you prefer. 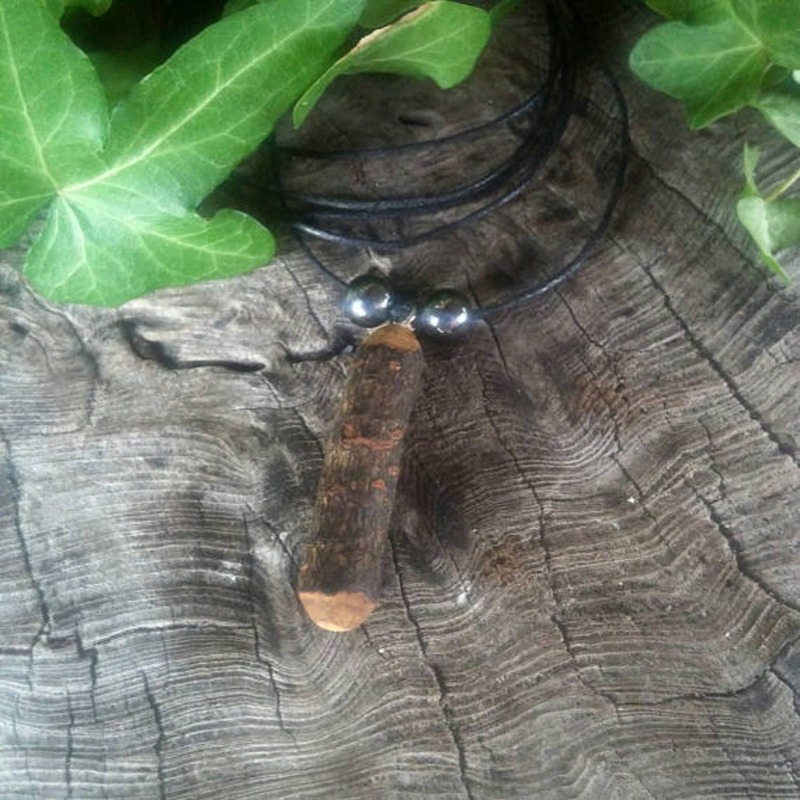 There are also two Haematite beads which are chosen to work with the properties of the Magnolia wood/bark for they are grounding and called a "stone for the mind", Haematite stimulates concentration and focus, enhancing memory and original thought. 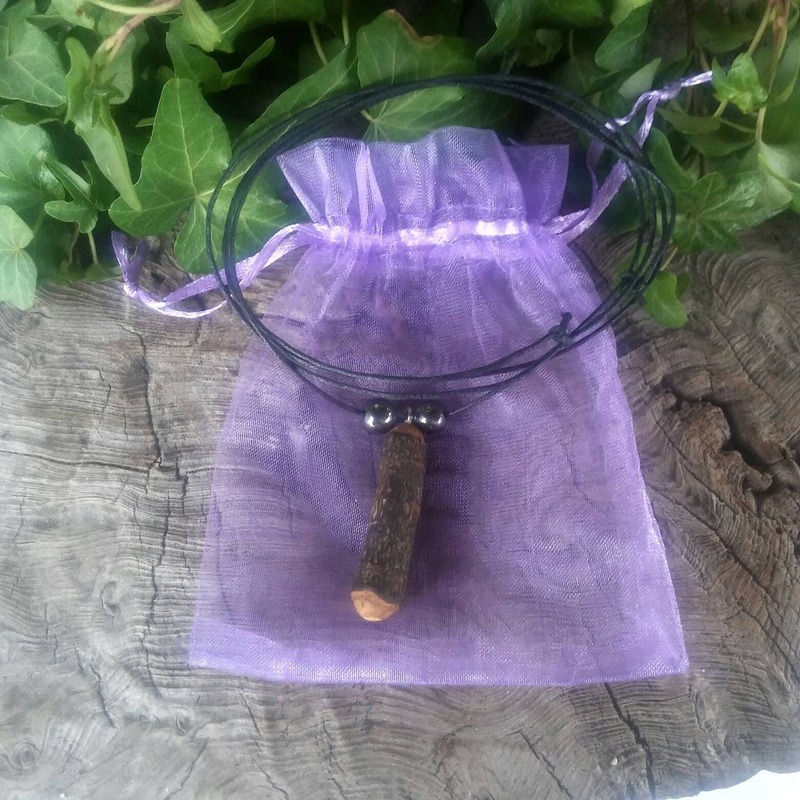 Haematite utilises the magnetic qualities of our yin-yang energies to balance the meridians within the body and to provide a stable equilibrium between the ethereal nervous system and the physical nervous system. It focuses energy and emotions for balance between the body, mind and spirit.